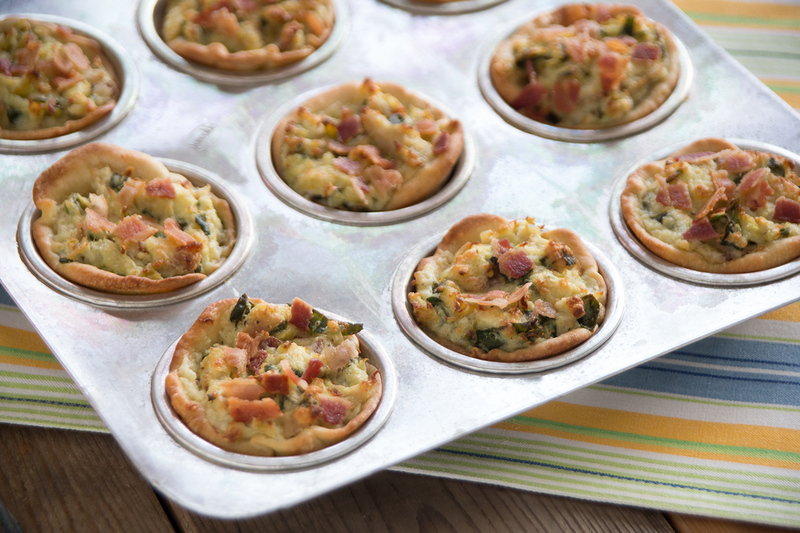 These Chicken Artichoke Cups would be the perfect addition to any brunch or luncheon. Spray counter lightly with non-stick cooking spray. Cut each roll in half and flatten each half into a 5 inch circle. Carefully place a dough circle into a sprayed muffin tin to cover the bottom and sides. Repeat to fill a 12 cup muffin tin. Combine cream cheese and mayonnaise. Add chicken and mix well. Add remaining ingredients except half of the bacon and mix well. Divide filling evenly between the 12 dough filled cups. Bake at 350 degrees F 12-15 minutes or until dough edges are golden brown. Remove from oven and garnish with remaining bacon.